How Can Business Intelligence Reporting in the Cloud Help with HR? In today’s dynamic corporate environment, HR leaders have to keep up with the technological curve in order to complete their goals effectively. Interacting with cloud services at the fringe of BI applications is no longer enough. Many organizations struggle with organizing and applying big data in a meaningful way. HCM cloud provides a real solution that can help HR review different data sets from across the organization and translate this data into actionable insights and recommendations. Predicting a match between a candidate and their capacity to deliver against organization goals is now validated through insight-rich data as opposed to judgment and intuition. You cannot make good decisions from bad data. Cloud solutions provide you with the latest and most-accurate data from which you envision a complete picture. In addition, HCM cloud applications have analytical tools with which you can identify insights inside this data. Through these tools, you are in a better position to spot the right candidates and identify skill gaps. HCM fusion reports are more reliable enabling the HR to make improved recruitment and onboarding decisions. HR’s concerns about the cloud often revolve around offsite sensitive data and security. Over the past few years, the maturity of cloud computing has increased significantly and so has the understanding and knowledge about modern cloud security. The security of propriety and personal data is a primary function of the infrastructure of cloud-based firms. Software vendors in the cloud are tasked with strict privacy and data protection standards and offer reliable layered and updated security. A dialed-in workforce that is completely immersed in organization goals is one of the greatest advantages a business can have. Today, millennials make up a considerable percentage of the global workforce. You have to make considerations for technology and differently engage a workforce that emphasizes a flexible work culture. 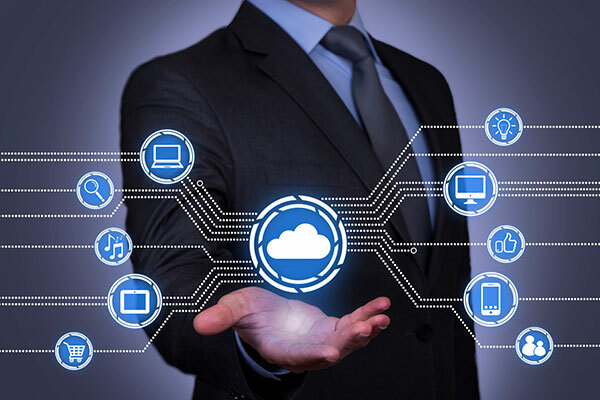 The cloud facilitates better engagement by enabling workers to access and share data, applications, and files from remote locations and multiple devices. Cloud HCM solutions offer digital collaboration tools that are essential for engagement. One of the greatest aspects of cloud technology is that is a future-focused technology. Advancements in Artificial Intelligence and automation means that Oracle HCM Fusion platforms simplify HR. The cloud will help reduce the strain on HR and help it increase recruiting and onboarding efficiency and value. For instance, machine learning improves HR’s ability to hire better candidates from large applicant data. There are several other reasons why your business should utilize cloud resources for human resource management. These include saving time, balancing budgets, faster HR functionality, improving productivity and optimizing HR’s role. The cloud is a business reality that HR has to embrace to drive competitive advantage. To learn more and help your organization grow with your market, contact DataTerrain today and see what our BI professionals can do for you!